Cruise Industry News is reporting that Empress which is currently operated by Spanish based Pullmantur Cruises is to return to Royal Caribbean early 2016. The Miami based cruise line has yet to confirm this so if it is happening we can expect an announcement soon. The 48,560 gross ton Empress joined the Pullmantur fleet in 2008 from parent cruise line Royal Caribbean. Ever since then the ship has been an essential part of the Spanish cruise lines fleet. 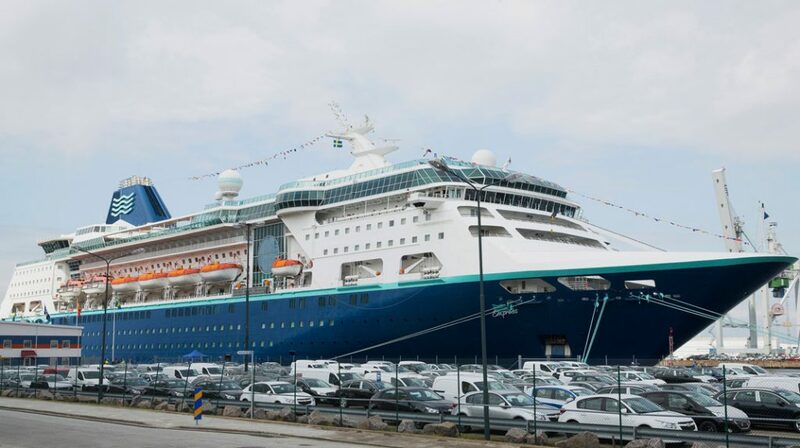 Cruise Industry News also mentioned that Pullmantur confirmed the ship being transferred back to Royal Caribbean in a Spanish press release. Empress is sailing Mediterranean cruises from Palma De Mallorca, Spain which could soon be history. Pullmantur is refocusing its efforts in Spain and France after recent pushes in Latin America. With the return of efforts in Europe the cruise line is also looking at some cruise ship transfers. Another former Royal Caribbean ship now known as Monarch will also return to Europe from the Caribbean in 2016. the 73,940 gross ton vessel is currently sailing cruises around Central America. Empress was previously known as Empress of the Seas for Royal Caribbean. Monarch was previously known as Monarch of the Seas for Royal Caribbean. More on this will be revealed over the coming weeks.